The world's first fully electric racing series arrives in London this June when the race, which launched in September 2014, reaches its finale in London's Battersea Park. A 3km, 15 turn, circuit has been specially created in Battersea Park for the FIA Formula E Championship, a new single-seater championship that sees 10 teams, each with two drivers, go head-to-head in some of the world's leading cities. Before the finale in London - which includes two separate races on Saturday 27 and Sunday 28 June - the championship will have stopped by nine other cities including Buenos Aires, Miami, Berlin and Monte Carlo. In addition to the Formula E action, spectators will also get to enjoy the FE School Series which sees children from 10 local schools compete in self-assembled electric kit cars around the full-size race track. What are the best dining options near FIA Formula E Championship London? FIA Formula E Championship gyms, sporting activities, health & beauty and fitness. The best pubs near London FIA Formula E Championship . 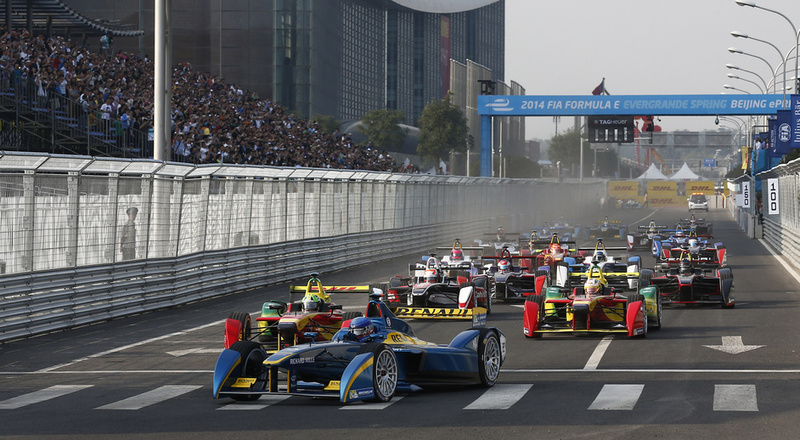 FIA Formula E Championship clubs, bars, cabaret nights, casinos and interesting nightlife. Where to have your meeting, conference, exhibition, private dining or training course near FIA Formula E Championship . From cheap budget hotels to luxury 5 star suites see our deals for Battersea Park hotels, including Pestana Chelsea Bridge Hotel & Spa from 83% off.